Welcome to the Signature Family! 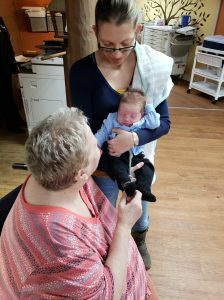 Introducing Signature HealthCARE of Chillicothe’s newest member, baby Creed! His mommy Melinda, an LPN here at Signature of Chillicothe, brought him in to visit the residents and stakeholders today. What a blessing! Thank you for sharing him with us Melinda, he’s just perfect!